Our Yoga Parties are unique, age appropriate, and include basic and challenging yoga poses, creative breathing techniques, fun yoga games, lots of music and relaxation time. Our party staff will take care of all of the party prep, coordination, food service and clean-up. 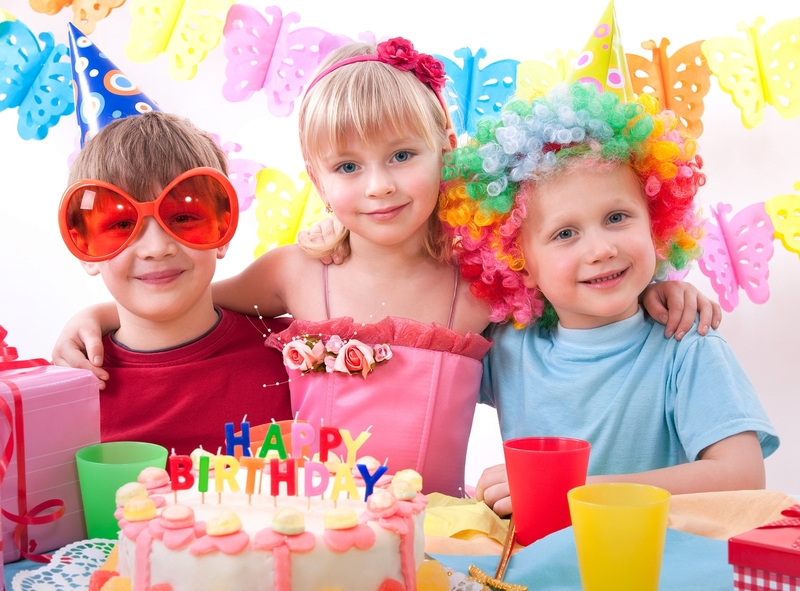 You can relax and enjoy your child’s party and guests. Please contact us for more information, or to book your childs party! Up to 15 party guests, ages 4-18 ($5 for each additional guest – up to 25 guests). Exclusive use of our beautiful, fun, spacious and calming yoga studio. 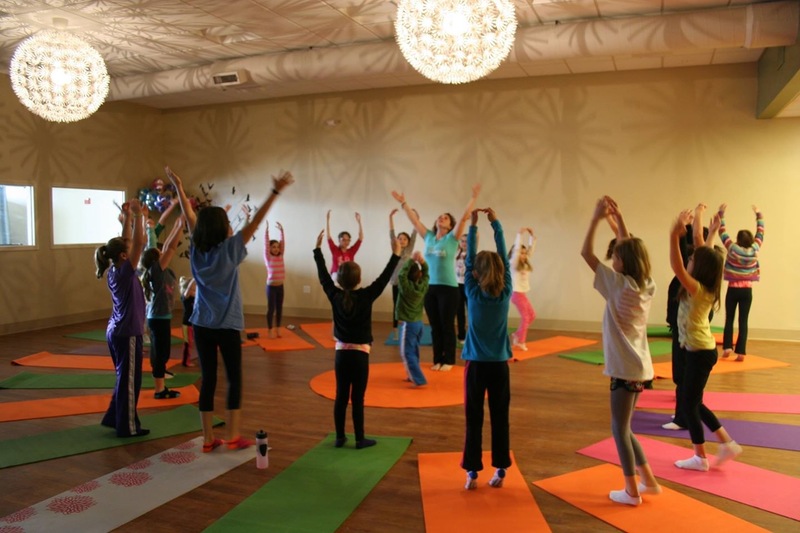 A 1-hour children’s yoga class, taught by our certified instructors. Choose a fun theme – A Day at the Beach, Amusement Park, Under the Sea, Animal Farm, Bugs, Beautiful Butterflies, Fairy Fantasy, Jungle, Dinosaur Days or let us know what your child loves so we can customize your party! Please see our add-on section below to upgrade your party theme. A 15-minute party-themed craft for guests to take home. A 45-minute birthday celebration time for presents and/or food. Please provide your child’s cake and drinks, we will provide plates, cups, napkins and cutlery. Please see our add-on section to upgrade your party to include pizza and juice. Exclusive use of our waiting lounge for parents and adult guests. Our studio includes a quiet and comfortable seating area with windows that look out over our party area. Adults can relax and watch in comfort or take advantage of our free wi-fi access while your child enjoys their party. We adjust all party games and activities to be age appropriate for each party, but older kids may consider a Yoga Boot Camp theme, Balancing, Inversion or Back Bending theme for a great yoga workout that’s challenging, fun and entertaining. Planning a sleepover birthday party? Have your yoga party at the end of the day and all of the guests attend in their pajamas. We will begin the class with a fun, active, yoga-themed game, and then practice yoga in our pajamas. We will explore relaxing, restorative poses and calming, breathing techniques in this party. Each guest will create their own dream journal to take home, and we will close our class with reading an interactive bedtime story that will include various yoga stretches and postures to leave the group calm and relaxed. 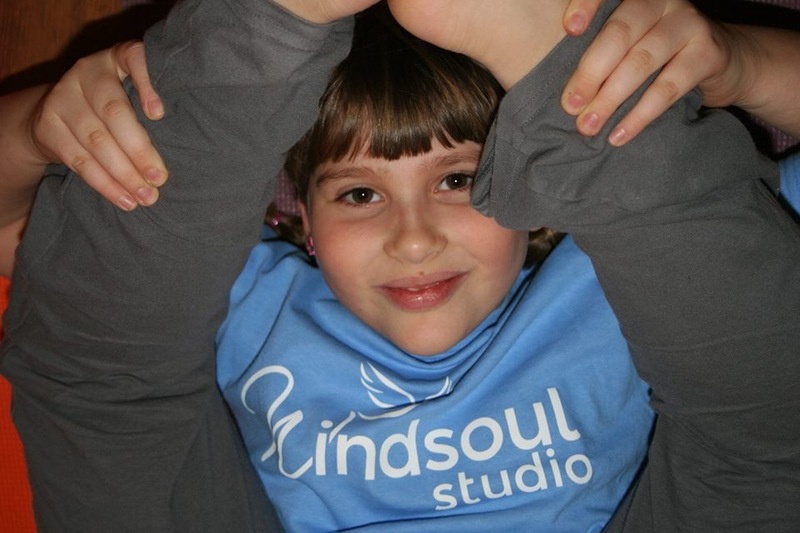 Throughout all of our yoga classes, we encourage our young yoga students to tap into their creativity, to feel proud of their individuality and express themselves. With our Yoga Art Party, we offer several creative yoga themed art projects to choose from including mandalas, origami, wish boxes, mood jars or lavender scented eye pillows. Your child and their friends will create keepsakes to treasure forever. Invite each of your party guests to bring along their favorite doll, creature, or stuffed animal! We will provide each guest with a mini-mat to decorate and keep for his or her toy-friend. Then we’ll all practice side-by-side, helping our party kids and their toy guests to explore fun poses, balances, twists and silly yoga games. Each party guest will receive glow bracelets, necklaces, and light-up rings to wear during the party and take home afterwards. We will dim the lights for yoga, dance, and playing throughout the party. We’ll also include yoga themed games that include glowing, flashing, light-up props and balls and a glow-in-the-dark craft. Throughout history, crystals and gemstones have been treasured by many cultures for their ability to aid in healing, meditation and balancing energy. After the yoga portion of our party, we will explore and handle a wide selection of crystals and gemstones. We will talk about the composition, cultural history and healing properties of each. Each party guest will then choose a small crystal or gemstone, which they can make into a necklace, bracelet or keychain of his or her own to take home. After the yoga portion of the party is over kids will design their very own kid size yoga mat. 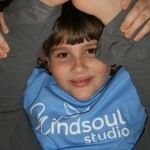 Yoga is even more for kids to practice when they have their own originally designed yoga mat. We will provide a selection of mats and artistic direction to allow them best express themselves. Your party guests will love this keepsake to take home. Balloons – $20 for 15 balloons to decorate space and be taken home by guests.